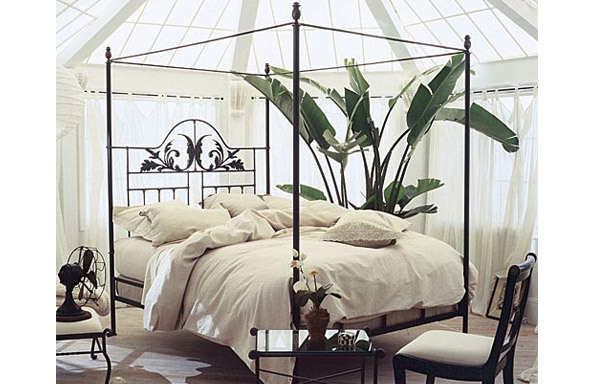 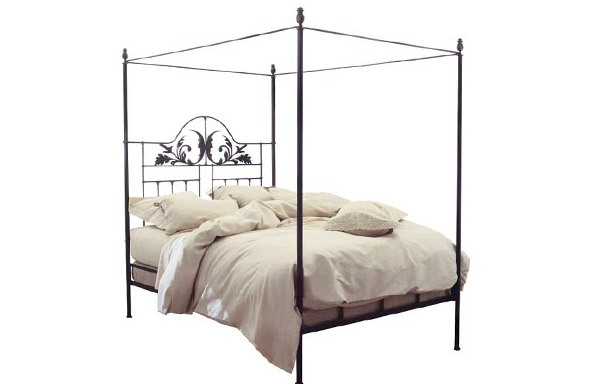 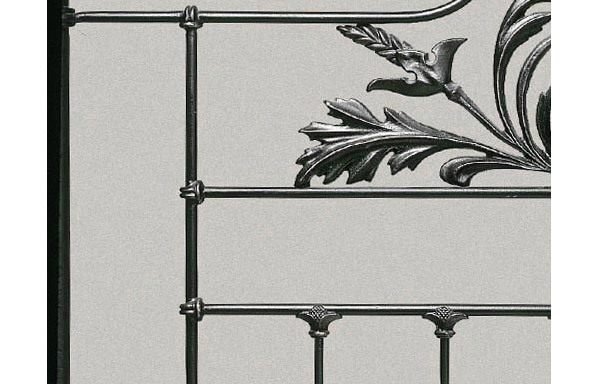 Our romantic Harvest Moon iron canopy bed features a hand-forged iron frame. 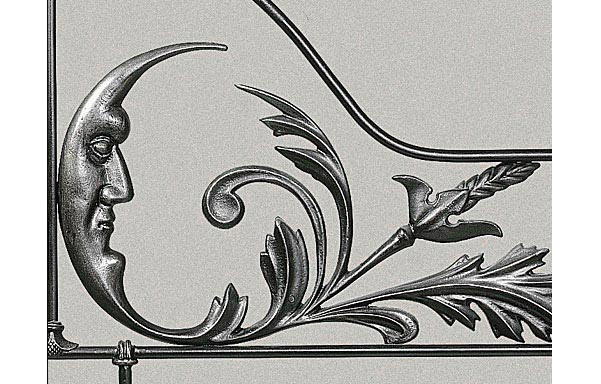 The decorative moon motif casting are highly detailed and precise. 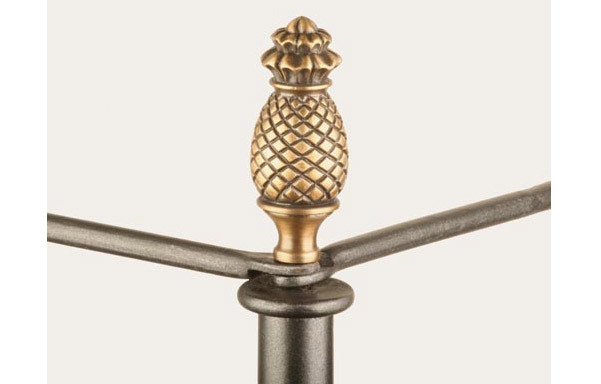 The brass pineapple finials are the traditional expression of welcome in the U.S. easern seaboard. 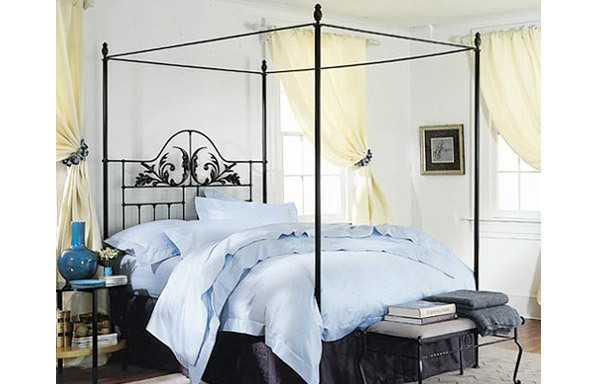 Review: "This is a great bed - well made, very solid, and the finish on it is beautiful."